Australian foreign minister Marise Payne en route to New Delhi today to attend the Raisina Dialogue . 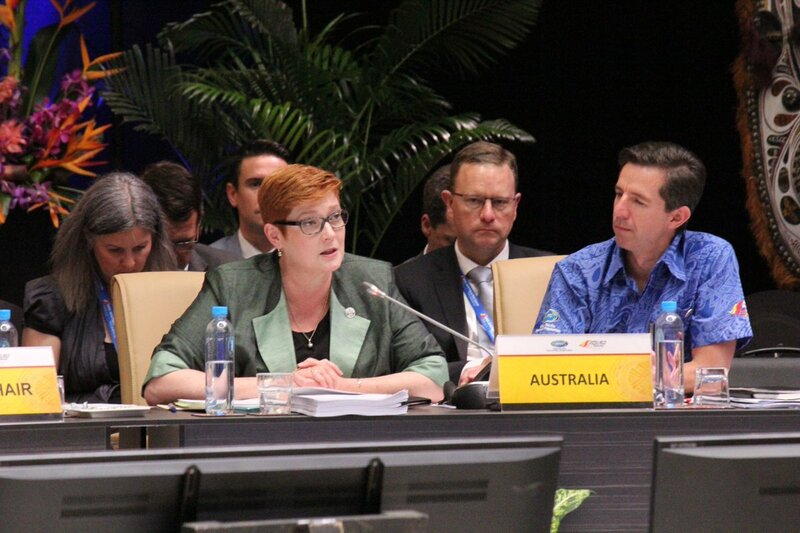 Australian Foreign Minister Marise Payne will be on a three day visit to India today. During her visit, Ms Payne will hold meetings with External Affairs Minister Sushma Swaraj, Finance Minister Arun Jaitley and Defence Minister Nirmala Sitharaman. She will also participate in the Raisina Dialogue which is being held this Wednesday. In her media release, Minister said, I will visit India on 8 and 9 January to participate in the Raisina Dialogue and meet with senior government ministers, including Prime Minister Narendra Modi. This will be my first visit to India as Minister for Foreign Affairs and follows the successful visit to Australia of the President of India His Excellency Ram Nath Kovind in November 2018. The Raisina Dialogue in New Delhi is an important forum that reinforces the growing strategic importance of India in our region and the world. My address to the Dialogue will detail how Australia and India can work together and with regional partners to deliver a stable and prosperous Indo-Pacific. While in New Delhi I will also meet my counterpart, Minister for External Affairs Sushma Swaraj, and other senior Indian and regional Ministers and officials. My visit will be an opportunity to reinforce Australia’s commitment to strengthening our partnership across a range of spheres. India is projected to be the fastest growing large economy over the next two decades and a key driver of global economic growth. Over the past year, two-way trade between Australia and India has increased by more than 13 per cent to $29.1 billion. I will also discuss the practical steps Australia is taking to implement the recommendations of the India Economic Strategy, which was commissioned by the Coalition Government, to cement India as a top economic partner.